This book is written in order to enhance practice and understanding in Counselling and allied helping professions. The contributors are all qualified Counsellors and the work is grounded in research. They explore: the phenomenology of the tattooed client; the impact of Person-Centred Counselling training on friendship; the therapeutic importance of pets; non-physical abuse; mothers’ experiences of the impact of a traumatic birth; the experience of Counsellors who work with complicated grief; and the role of mother-tongue in counselling Welsh speakers. These individual chapters provide valuable insights into working with client groups and needs which are rarely explored in the wider literature. As a result, professionals practising in these specific fields will find this book particularly relevant. Equally, for the general reader in the Counselling and allied helping fields, the specific areas covered will spark curiosity and provide food for thought to apply to their own work. This book is an exemplar of good practice in the publication of excellent Counselling students’ research, which draws on the Interpretative Phenomenological Analysis method of research, in which the participants’ voices are clearly heard. 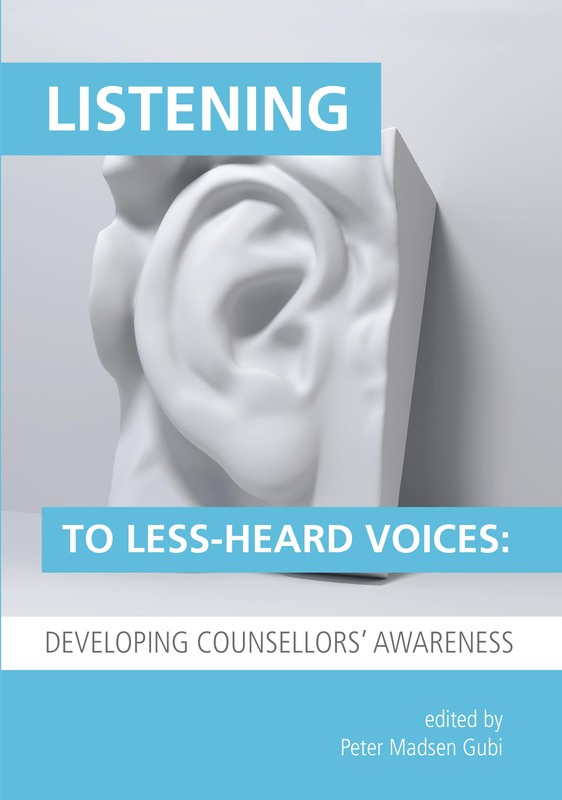 Listening to Less-Heard Voices: Developing Counsellors' Awareness (edited by Peter Madsen Gubi), by Charlie Jackson in Therapy Today, September 2015, p. 42. If you are looking for a book on counselling and psychotherapy research written by practitioners for practitioners, then this is the book for you. Dr Gubi contextualises the rationale behind the publication in the opening sentence: ‘Whilst research is designed to inform best practice and increase understanding, there is less in-depth research published about human experiencing that relates to issues that are “on the edge” of the professions of counselling, psychotherapy and psychology, yet which are nevertheless “central” for those people who experience such issues’ (p1). As a predominantly self-confessed (and proud) qualitative researcher, I felt compelled to continue reading. It is so refreshing to discover research ‘that comes from a place of passion within the researchers, which is aimed at informing counsellors about aspects of human experiencing that are not written about much (if at all) in the counselling-related literature’ (p2). Peter M. Gubi, Listening to Less-Heard Voices: Developing Counsellors' Awareness, 2015, ISBN 978-1-908258-23-6, £14.99.